It’s imperative we move beyond the media-hyped fears regarding Artificial Intelligence and Autonomous Systems (AI/AS) to create workable solutions that increase human well being. 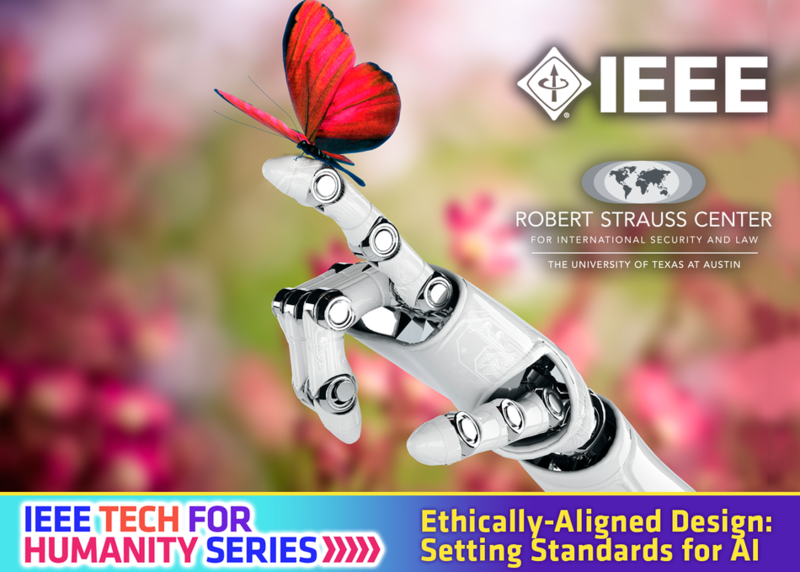 In 2016, The Global Initiative for Ethical Considerations in the Design of Autonomous Systems was launched by the IEEE Standards Association. The mission of the Global Initiative is to ensure every technologist is educated, trained, and empowered to prioritize ethical considerations in the design and development of these systems. Sponsored by the Robert Strauss Center at UT Austin, this panel will assess the Global Initiative’s standard setting process and review some of the group’s working recommendations.